I first summarized the scant evidence concerning low-level or “cold” laser therapy in companion animals in 2010, and I reviewed a couple of small studies in 2011. A recent checked showed only a couple of studies looking at cold laser since. All of these were small trials, and I am not able to access the full reports, so I cannot thoroughly evaluate the quality of the study design or conduct. None of these studies provide a definitive answer to the usefulness of laser therapy for the problems evaluated, but since we must work with the evidence we have rather than the evidence we would like, I thought I would briefly discuss this new research. The first is a study from India looking at laser effects on wound healing in dogs. Efficacy of low level LASER therapy on wound healing in dogs. Indian Journal of Veterinary Surgery 2011 32 2 103-106 Singh, M., Bhargava, M. K., Sahi, A., Jawre, S., Singh, R., Chandrapuria, V. P., Kocchar, G.
The study was undertaken to assess the efficacy of low level LASER therapy on wound healing in 30 dogs. The dogs were randomly divided into five groups, each consisting of six dogs. The dogs of group 1 were treated as control, whereas the dogs of groups II, III, IV and V were treated with low level LASER therapy for 2 min, 10 Hz, 1.2 Joules; 4 min, 10 Hz, 2.4 Joules; 2 min, 30 Hz, 1.2 Joules; and 4 min, 30 Hz, 2.4 joules, respectively. The clinical parameters were recorded on day 0 (control) and subsequently on days 3rd, 5th, 7th, 10th and 14th in the animals of all groups. Increased healing percentage, decreased inflammation and exudation with clinically no scab during healing and minimal scar at wound site after healing, early regeneration of granulation tissue, better organization, compactness and intense epithelial regeneration were observed in dogs treated with laser therapy as compared to control animals. Significant increase in rectal temperature with non-significant variation in pulse and respiratory rates were observed in all the groups. The maximum decrease in the size of the wounds was observed in groups III and V, with a maximum healing rate of 94.84% and 88.01%, respectively up to 14 days, with maximum efficacy at 4 min, 10 Hz, 2.4 joules protocol followed by 4 min, 30 Hz, 2.4 joules. The groups were small, it is unclear if the assessment was blinded, the outcome measures appear to be subjective, and there is no reported statistical analysis to indicate how likely it is that the differences between the groups are due to chance. The authors report a beneficial effect from the laser therapy, but again how reliable this conclusion is cannot be determined from the available information. The next study was also done in India and evaluated laser therapy for wound healing in dogs. The study was conducted on 18 dogs, divided into three groups comprising of 6 animals each. In group 1 – dressing of contaminated wounds was done with antiseptic liquid and antibiotic injected parenterally. In group 2, dressing of contaminated wound was done+low level laser therapy (10 Hz+5 min, 3 Joule, for 5 consecutive days)+parenteral antibiotic. In group 3, dressing of contaminated wound was done along with low level laser therapy (20 Hz+10 min, 6 Joule, for 5 consecutive days)+parenteral antibiotic. The biopsy punch was collected from the site on days 0 and 14. No apparent differences could be observed between the non-laser treated group and the laser treated groups with respect to histopathological examination except for the thicker epidermis noticed in five cases of the laser treated group as compared to that in non-laser treated group. It was concluded that low level laser therapy has no significant effect on healing of contaminated wounds in dogs. Like the previous study, this was a small trial with limited information available about how it was conducted. This study, unlike the first, did not find any benefit from laser therapy on wound healing. The evidence in humans is mixed and inconclusive on the benefits of lasers for facilitating wound healing, so while some benefit is possible, it is not yet clear if there actually is a clinically meaningful benefit in dogs. The third article evaluated laser therapy for reducing foot itching in dogs with environmental allergies. Stich AN, Rosenkrantz WS, Griffin CE. Clinical efficacy of low-level laser therapy on localized canine atopic dermatitis severity score and localized pruritic visual analog score in pedal pruritus due to canine atopic dermatitis. Vet Dermatol 2014 Oct;25(5):464-e74. doi: 10.1111/vde.12144. Epub 2014 Jun 9. Canine atopic dermatitis is a genetically predisposed inflammatory skin disease often requiring multimodal treatment. There is a need to find further low-risk adjunctive therapies. To evaluate the localized effect of low-level laser therapy (LLLT) on the paws of dogs with atopic dermatitis using a localized canine atopic dermatitis severity score (LCADSS) and owner localized pruritic visual analog score (LPVAS) in comparison to treatment with a placebo. Thirty client-owned dogs with symmetrical pedal pruritus due to canine atopic dermatitis. Dogs were randomly assigned into two groups. In each group, one paw was treated with LLLT and one paw treated with a placebo laser (comparing either both fore- or hindpaws). Treatments were administered at 4 J/cm(2) (area from carpus/tarsus to distal aspect of digit 3) three times per week for the first 2 weeks and two times per week for the second 2 weeks. Scores were assessed for each paw at weeks 0, 2, 4 and 5. There were no significant differences in LCADSS or LPVAS between LLLT and placebo treatments between weeks 0 and 5 (P = 0.0856 and 0.5017, respectively). However, LCADSS and LPVAS significantly decreased from week 0 at weeks 2, 4 and 5 in both LLLT and placebo groups (P < 0.0001 for all). Low-level laser therapy is not an effective localized treatment for pedal pruritus in canine atopic dermatitis. The study appears to have been well-controlled, though there is no mention of blinding, and the outcome measures are subjective but commonly standardized assessment tools. The study found improvement on both active and placebo treatment, which is almost always the case in clinical trials involving skin allergies, but did not see any benefit of laser beyond that of the placebo. Finally, another dermatology study looked at cold laser therapy for an ill-defined set of disorders in which dogs have inadequate hair growth. Since the cause of these problems is not understood, and there is no well-demonstrated effective treatment, something like cold laser may be worth trying even without a solid reason to think it will be of benefit. Olivieri L, Cavina D, Radicchi G, Miragliotta V, Abramo F. Efficacy of low-level laser therapy on hair regrowth in dogs with noninflammatory alopecia: a pilot study. Vet Dermatol. 2015 Feb;26(1):35-9, e11. doi: 10.1111/vde.12170. Epub 2014 Sep 16. Canine noninflammatory alopecia (CNA) is a heterogeneous group of skin diseases with different underlying pathogenesis. The therapeutic approach is challenging, and new options for treatment are desirable. To test the clinical efficacy of low-level laser therapy (LLLT) on hair regrowth in CNA. Seven dogs of different ages, breeds and genders with a clinical and histopathological diagnosis of noninflammatory alopecia. Each dog was treated twice weekly for a maximum of 2 months with a therapeutic laser producing the following three different wavelengths emerging simultaneously from 21 foci: 13 × 16 mW, 470 nm; 4 × 50 mW, 685 nm; and 4 × 200 mW, 830 nm. The fluence given was 3 J/cm(2) , frequency 5 Hz, amplitude of the irradiated area was 25 cm(2) and application time was 1.34 min. A predetermined alopecic area was left untreated and served as a control area. From one dog, post-treatment biopsies of treated and untreated sites were obtained for histological evaluation of hair density and the percentage of haired and nonhaired follicles. At the end of the study, coat regrowth was greatly improved in six of seven animals and improved in one of seven. By morphometry, the area occupied by hair follicles was 18% in the treated sample and 11% in the untreated one (11%); haired follicles were (per area) 93% in the treated sample and only 9% in the control sample. Our clinical and histological data document promising effects of LLLT on hair regrowth in CNA. Further studies investigating the biological mechanism underlying the effect of LLLT on hair follicle cycling are warranted. The results suggest laser therapy may have stimulated hair growth in these dogs. However, only 7 dogs were involved, and only one provided skin biopsies, so this study merely hints at the potential for laser therapy, and further work with appropriate controls would be needed to demonstrate there is real benefit to be had. The research into cold laser in dogs and cats is sparse and generally low quality. Most studies are small and have minimal or uncertain controls for bias and error. Some show promising results, others do not. At this stage, as I concluded in my initial discussion of this topic, there is enough evidence to warrant further study but not enough to support routine clinical use of cold laser. If vets want to try this therapy, they have an obligation to be clear with client that the risks and benefits have not been established and that the treatment is essentially experimental. There is nothing wrong with using such a treatment given appropriate informed consent, but the aggressive marketing of laser equipment to vets as a profitable treatment is ethically questionable given the lack of good evidence that it is a truly safe and effective treatment for any condition. Thanks for taking the time for taking the time to update. Thank you for this. I am constantly bombarded with sales calls for lasers. I have been suspicious that your conclusion is exactly what I expected. First, I whole heartedly agree with sceptical assessment of new technologies that have limited data in applied clinical settings. This is the core of evidence based medicine and our mandate as thinking professionals. The problem we wrestle with in veterinary medicine/surgery is that studies with high power (level 1 and 2) are rarely published. A classic example of this is the never ending debate on surgical repair of the cranial cruciate ligaments in the canine. Despite numerous techniques being used to treat this disorder over decades, a recent review in AAHA ( Systematic Review of Surgical Treatment for Cranial Cruciate Ligament Disease in Dogs J Am Anim Assoc 2014;50:315-321.) showed out of 444 manuscripts written on this topic only 34 met the criteria for inclusion ( 6 mth follow-up) and only 2 studies met level 1 criteria and 6 met level 2 critieria. Only the TPLO and lateral extracapsular suture technique could be assessed with the TPLO being shown to superior. The TTA, Tight -rope and all other tecniques have insufficient data to warrant use YET these techniques are widely used with reportly good success and promotion within our profession. This is looking at over 20 years of data. So when we look at the use of low level laser which has proven photobiomodulation in vitro and in vivo we are looking at where best to apply this treatment modality to our patients. There are many studies in people to show the benefits in musculoskeletal injuries – tendinitis, bursitis, osteoarthritis etc and we extrapolate these studies to our patients. These studies can be viewed on PubMed by searching “low level laser – tendinitis” for example. Studies for wound healing are less compelling but this does not mean this modality should be discarded completely. As a profession we need to identify the areas of treatment where this modality can be best used and then put the time, effort and money into collecting data to support or refute a hypothesis. If we wait for level 1 and 2 data to appear before using this modality we may finish our careers before we see such studies emerging. I use low level laser in my patients to reduce pain, oedema and inflammation is both acute and chronic injuries. It is painless, fast and we see obvious benefits. This is a non -pharmaceutical treatment that does no harm if you are prudent and follow the rules. I can point to human studies to support my decision and am confident future veterinary studies will emerge to further define this modalities usage. Good to be informed sceptics. 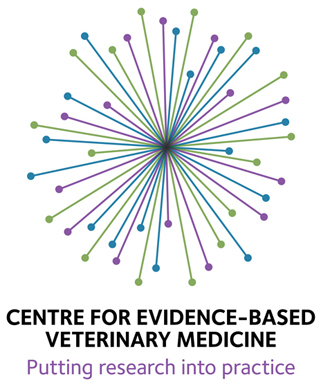 I certainly agree that the evidence level and quality are generally poor in vet med, so we have to make clinical decisions on the basis of the best available evidence even when it is quite limited. The key in these situations, is appropriate claims and informed consent. We should not make claims about safety and efficacy beyond the available evidence, and we should openly and clearly discuss the uncertainties with our clients. For cold laser, this means not going beyond the claim that it is a potentially useful but still unproven therapy for all indications and that there is significant uncertainty. Research does suggest little risk, so it is fine to use so long as it is not substituted for more established therapies and clients are given the necessary information for truly informed consent. Unfortunately, this isn’t how laser is typically marketed in vet med. Sweeping and confident claims of dramatic benefits for many indications are routine, and this is essentially deceptive advertising that denies clients the opportunity for truly informed consent. If you look at my original article on the subject, you will seem examples of such disingenuous claims. I would also disagree with your assessment of the human literature. Again in my original article on the subject, I cite a number of comprehensive reviews of the research, both from Cochrane and the insurance industry, and there is considerable inconsistency and significant limitations in the existing research. You can, of course, find studies that show benefits. However, you can also find studies that do not, and you can find plenty of methodological limitations in both that make all conclusions tentative. So while there is some evidence for benefit in some indications, it is not a simple matter of saying it works in humans and likely will in our patients because neither assertion is well-supported. Again, I have no objection to trying out laser therapy for pets with conditions for which there is some evidence to suggest a potential benefit. I do, however, find the widespread eager adoption of the practice with entirely unjustified claims about its effects disappointing and unfair to clients, and I suspect that profit potential influences an unjustifiably rosy interpretation of the evidence in some cases. J Am Anim Assoc 2014;50:315-321.>>> Brennan, have you posted about this article? It’s behind a paywall and I no longer have a online way to read this journal online. Google only list the summary and option to buy. My vet recently recommended laser therapy for pain and healing of a nasty spider bite on my dog’s ear. On prior visits to the vet I noticed brochures glowingly touting the wonderful healing power of laser therapy. I politely declined the extra 35 dollar treatment which shocked my vet for audaciously disputing the efficacy. Later the same day I saw a podiatrist to help me fix a painful hammertoe. I also have a bad case of neuropathy that aggravates my painful feet due to chemotherapy. He had a LLLT machine and he offered treatments. I declined and mentioned it was not covered by insurance because it was still considered investigational. He sighed and complained that the machine was very expensive and would probably never pay for itself. I don’t have access to JAAHA either, but it looks to be a comparison of different surgical treatments for CCL Dz. I have posted on the question of whether surgery is superior to conservative management, but I haven’t written about comparisons between the various surgical procedures. I went to a CE dinner about using these machines in pets and the speaker said the pet insurance company will cover as long as it’s done in the hospital. Thank you for the update, Skeptvet. I would like to point out, based on personal experience with laser treatments on my cats…these treatments are NOT without potential side effects! I had one senior cat of normal weight, if not a couple of pounds overweight, undergo a laser treatment for osteoarthritis. The vet tech, with supervision by the vet, kept slowly but continually moving the wand over my cat’s body. Even with the constant movement of the wand, my cat would often jump, look back at the wand and meow at times. I asked the vet what was happening and he said that sometimes the laser causes too much heat. It was not the soothing, pleasant experience for my cat that I had been led to expect. I had another senior cat who was 3 lbs underweight undergo laser therapy with a similar class machine (by a feline only vet) for osteoarthritis, as well. The session seemed to go okay, but the cat was markedly sore, lethargic and miserable for 3 days afterwards. It caused him more pain when it was suppose to relieve pain! I myself had laser therapy one time and it was incredibly painful, shooting strong electrical zaps through my body that caused me to jump around on the doctor’s table like a fish out of water. I will never do it again. Proper training and experience on these laser machines is VITAL to help ensure safety to the animal. And even then, your animal could still experience discomfort and even significant pain! deborah samson a vet in auckland posted on a dog social site your skeptvet comment on lazer treatment. we have lazer treatment here in auckland n.z. there is lazer for humans overseas but sadly not here down under. i have 3 dogs on lazer treatment andwoul.d prefer to try the treatment instead of medicating or operating. i will be in a paupers grave, but i can’t bear to see my beloved pets not being given the best of care that i can possibly provide. i give it my best shot and i would not be using the treatment if i didn’t think it was making any improvement. if you saw the state that c.ligament operations done on both back legs separately i might add would make you weep. my dane x has a woobly walk they put a tintanium pin in he had a reaction and it had to come out. he can not sit properly only lie down. two different vets, so b4 advising people and discounting on some trails why not trail the treatment on a dog yourself then you could say you had trailed the treatment. i was poohooded by my vet of 20yrs when i said i intended trying the lazer treatment. veteninary specialist group[ auckland carrington road now providelazer treatment. they put the titanium pin in moby. what worries me is that you may stop people from trying alternative treatments at the cost of some animals not having a chance at lazer whether is sucessful or not at least that owner would have tried and not won or tried and won. Looking at a veterinary poll , with 330 vets having participated on vin.com. 21% have laser and believe it works, 12% are looking to, or would like to purchase, so presumably believe it works or they are crooks who will buy it for the money. When the surgical lasers came out rather then pay 20 thousand for a new one I knew a vet hospital that got one almost for free because the tube was going bad. When a caller ask if they had laser surgery they could answer yes. If you are buying a cold laser but no one has shown it helps let alone one unit helps more than the other you might be tempted to buy a used one. A priest will admit that holy water is just tap water with the hell burned out of it but if no one can measure anything but h2o in your bottle of homeopathic medicine I am sure many doctors will just fill the bottles up from their sink. And at 30.00+ a session, for a recommended 3 times a week+, with only a colorful pamphlet to show to clients (of the numerous health problems the therapy can “help”) and the anecdotal “I believe it works”. I tried laser therapy for one of my cats after a urinary catheterization. Once. My cat loved it. Because he was getting a warm and gentle massage with a foreign object and tons of attention. Did it work for anything? I doubt it. The photo taken wearing his goggles for his health record – priceless. Except for my dog’s orthopedist, all the veterinarians in my area (northeast US) seem to not believe in evidence-based medicine (or science) based on what their clinics are offering. They all now seem to have a laser and vets “certified” in Chinese herbs and acupuncture. The sense of dread that sinks in when I look at a promising doctor’s resume only to read something along the lines of, “received Certified Veterinary Acupuncturist (CVA) accreditation at Chi Institute of Traditional Chinese Veterinary Medicine in Reddick, FL … She practices integrative veterinary medicine using both Western and Chinese methods” has become commonplace. It makes me nervous to bring my dog to the vet’s; how can I trust these people? As a side note, I also don’t appreciate being bullied or being told I am a bad pet owner when I say I don’t wish to partake in such modalities. Yesterday, after calling a local veterinary hospital to inquiry about hydrothearpy and saying, when pressed, that I did not also want laser treatment for my dog, I was rudely cut off and told, “Excuse me! Would you let me finish my spiel first?” I guess that sums it up. I am very depressed by this turn in veterinary medicine. Do all of these doctors really believe in this stuff? It must make a lot of money. That’s very disheartening to hear. I suspect most do believe in the stuff they are selling, but sadly we have served these doctors, and their clients, very poorly in educating them about the need for a critical, scientific approach to medicine. Keep standing up for yourself! Skeptvet, I’m curious, who is “we”? As veterinary medicine evolves and advances, don’t vets who commit to the profession have an obligation to advance as well? I guess what I’m asking is, what is so difficult about practicing evidence-based medicine, as opposed to taking the easy way out and delving in the woo – is it because they don’t have to look for the evidence? As for clients, they are part of the problem, they demand the woo. I can see why vets don’t want to argue with clients, and surely the additional revenue must be appealing. But woo isn’t medicine, and how can vets demand respect when they are fleecing the client and harming the patient? I have a Rhodesian Ridgeback who had a deep lick granuloma. Surgery was the treatment suggested. I used a 904nm, 500mw laser and hair growth began in eight days and the healing was visible daily. Completely closed in about two weeks, never to recur. I have a golden with cervical disk disease who begs for laser. Tail wags entire time and the next day she has regained a spring in her step. I am a registered nurse who worked at Stanford Medical Center and have a sold background. I respect medicine, take no chances and would try laser any day over Rimadyl, surgery and such. Try it and see immediate effects of pain and swelling reduction. One treatment should convince you. Further treatments are needed for resulting collagen stimulation and other increased healing beginning with the Krebs cycle and the disbursing of nitrous oxide. Read the studies of Prof. Hamlin, Harvard Med Derm Dept. hope this post helps someone……. .I had laser on a catastrophic fracture of my patellar which gave me incredibly fast healing, no stiffness, no arthritis and a normal walk. The trauma surgeon at ASU was amazed and said normally I would need a year of PT and not have a normal ROM and walk without stiffness. I had no PT and walk just fine three years post op and a long hospitalization and in house rehab, total eight days. I came to this site to see if anyone had done good studies on canine dermatitis, itching, for a friend with a young German shepherd. Will continue to search. Ps, the comment about electric shocks is just plain bogus. Not a chance. There are years of published studies with no such reaction for laser unless he was in a bathtub with a faulty power cord…..seriously, not possible as shown in forty plus years of,documentation. I think Jo was describing the sensation experienced during laser treatment, not specifically claiming to have received electrical shocks. I am a vet with 25 years experience with an interest in healing therapies . 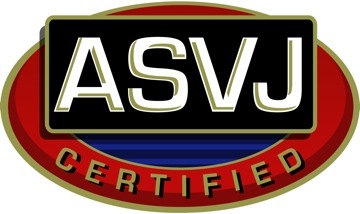 I have taken the CCRP course at University of TN and the IVAS course in acupuncture. My experience has shown patients are all different, as are humans, in their responses to a variety of therapeutic modalities such as surgery, NSAiDs , Adequan, Cartrophen,Dasuquin, acupuncture,laser,hydrotherapy, massage , heat and cold therapy, physiotherapy,exercise and rest. It is important let to expect definet results every single time from ANY modality or patient. Medicine has to be used responsibly with intuition and knowledge of technique and good judgement. All patients differ in many ways. Yet all patients also share many similarities. The goal of basic research science is to find the similarities, the general rules and how often they hold true in a population. The goal of clinical medicine is to treat individual patients. The real question, then, is how does a clinician decide what to do for the individual patient in front of her? Where we differ is likely to be how we balance the sources of information we have to help us do this. You clearly feel your clinical experience, the experience and wisdom of your teachers, intuition, and other uniquely private and personal sources of information should have great weight. You may also rely on scientific evidence, but my guess is you tend to refer to it when it supports your experiences and ignore it when it contradicts them. This is certainly the natural human tendency, and the basic philosophy underlying most alternative medical practice. On the other hand, I tend to feel personal, private sources of information are highly biased and unreliable, and scientific research evidence is more trustworthy. It has unquestionably revolutionized human health and well-being to an extent never seen in all the thousands of years we relied on the experience and judgement of experts, authority figures, and our own lives. Science has shown that, for all its obvious imperfections, it works better than the alternative. Alternative medicine practitioners often claim to “individualize” treatments for their patients, and imply or claim outright that science-based medicine treats every patient as the same. This is false on both counts. Every clinician adjusts their treatment of individual patients. Some rely more on science and other on personal experience to do so. Evidence-based medicine explicitly requires the critical appraisal of published research, and this specifically includes assessing the degree to which a research study may or may not apply to an individual patient. The main way alternative practitioners individualize treatment is to rely on schemes invented by previous generations of clinicians and incorporated into traditions, as in TCVM, or by referring to their own uncontrolled and haphazard experiences. The only difference between choosing a therapy based on science and choosing it based on your experience or the inherited tradition of an alternative medicine approach is the reliability of the evidence, not the extent to which we treat patients as individuals. Alternative Medicine Claims to “Individualize” Therapy, but Does It? My nine-year-old Lab/German Shepherd mix (who has a partial CCL tear, arthritis in both stifles and unilateral hip dysplasia) has been undergoing physical therapy (or PT) for the CCL tear for the last five weeks. His physical therapist prescribes cold laser treatments, 30 minutes of PEMF exposure, hydrotherapy (specifically, the water treadmill), massage and exercises (the last two executed by myself at home). My dog has also been receiving twice daily doses of carprofen and gabapentin. He has shown significant progress since beginning PT, yet I am unconvinced that the cold laser or the PEMF are effective. I will soon be able to test this. My plan is to request that PEMF and laser treatments be gradually eliminated from his PT regimen – first the PEMF and then the laser. I will post the result of this “experiment” in approximately three months. Obviously, there is nothing wrong with changing treatment and seeing how your dog does. I just have to remind everyone that the result, whatever it is, doesn’t say anything about the general effectiveness of these treatments since many other uncontrolled factors are involved in each individual case. Concluding a piece of research by stating that LLLT is not effective for Atopic Canine Dermatitis because the frequency they set didn’t work, surely different settings must be applied to make such a conclusion. I have been treated with laser along with my dogs. I had tennis elbow which went away in 3 sessions, I also had sciatica that reduced pain within an hour. My dog is a gundog and had pad injuries on both his forelimbs and only one was treated with laser 4 times and healed much quicker than the left. Personal experience of laser is amazing. I am a Physiotherapist and personally would love to buy one but I will do my research a review research through WALT, NALT and not just listen to the skeptics. Sometimes, you don’t know why things work, despite over analysing all the research. The class 4 laser are more shocking to me, less research and a lot more risks involved as manufacturers will sell to just about anyone and they can cause some serious damage, heating up the tissues. Anyway, that’s my experience. I wonder that you don’t see the inconsistency in arguing that negative research is meaningless because the researchers may just have used the wrong settings but that positive anecdotes are reliable and should be believed. Personal experience has failed us time and time again throughout history, and scientific research has dramatically improved the length and quality of our lives, so I think your trust is misplaced here. My dachshund had a second occurrence of IVDD in her neck about 5 mos after surgery. Surgery was not an option and she was in cage confinement on every drug the vet could think of to reduce pain. She screamed hideously with every movement. As a last resort we found a vet who would come to our house and administer cold laser. My husband and I thought we were wasting our money on snake oil but gave it a try. Vet treated her while she was laying in her crate. She was still screaming in pain at any movement. I went back to work and about an hour later my husband called me to say that he had carried her crate outside so she could pee and she walked out of the crate, peed and walked around a bit, with no screaming. She seemed better for about a day or so with reduced pain. I thought it was a fluke but ina few days she was frozen and screaming again. We called the vet back out and a 2nd treatment. Results repeated. We were convinced and continued twice a week treatments for about 3 weeks. It reduced her pain no question during that period and allowed her time to recover. We kept her on her meds and in the crate for 8 weeks to be safe but the first crucial weeks were amazingly more comfortable for her because of this treatment. Compared to the first surgical event where she was on more drugs that caused undesirable side effects such as dysphoria or anxiety it was much better. It may not cure everything in the world as some may claim but it was an effective treatment to reduce painful inflammation and I will gladly use it again if we see another disk event. I’m a vet tech student just starting my first clinical, and the hospital I’ve been placed at uses lasers on every incision, to “reduce pain and inflammation and speed up healing”. I’m skeptical, but certain that as a student being given a month-long learning opportunity, it would not be appropriate for me to bring up my concerns. (They already have a robust pain management protocol in place, so I’m not sure why additional therapies would even be necessary, but its not harming anyone.) The doctor claims that there is solid scientific evidence supporting its efficacy, but she also does acupuncture, so who knows. I feel like an idiot wearing goggles and waving a laser around, but writing off the whole thing as fake (or even just unproven) threatens my ability to trust what I’m learning from these people. They’re a long-established, well-respected, busy clinic with devoted clients. How does one separate the wheat from the chaff? Unfortunately, the way our human brains work, confidence in nonsense is not incompatible with being smart, competent, and well-meaning. Perfectly rational, excellent doctors who practice fundamentally sound medicine often throw in a little nonsense that they have great faith in. At its core, this faith usually comes from anecdotal evidence, their own or someone else’s, which we know is unreliable. However, cognitive dissonance and confirmation bias, among other cognitive quirks, lead us to seek support for whatever we believe, regardless of where that belief comes from. Therefore, such folks often skim the scientific literature and unconsciously cherry pick from it, ignoring the flaws in studies that support their beliefs and exaggerating the limitations of research tat doesn’t. The end result is the absolute confidence that science supports whatever they happen to believe in, even when it really doesn’t. As you can see from my articles on the subject, there is not robust scientific evidence to support clinical uses of laser in small animal medicine. The evidence in favor is weak, and there are at least two clinical trials in dogs at this point showing no benefit. This will almost certainly not convince your mentors, who will either reinterpret the evidence in a way that agrees with their belief or fall back on the “well, I’ve seen it work for my patients” line, which of course can be used to support anything from lasers and stem cells to homeopathy and faith healing. This doesn’t mean your teachers are not smart or right about other things, only that they share the same cognitive biases that lead all of us astray from time to time, particularly the trust in one’s personal experiences regardless of contradictions in controlled research evidence. My advice is to always ask for specific evidence for anything you wonder about, and to learn how to find and evaluate this evidence for yourself. 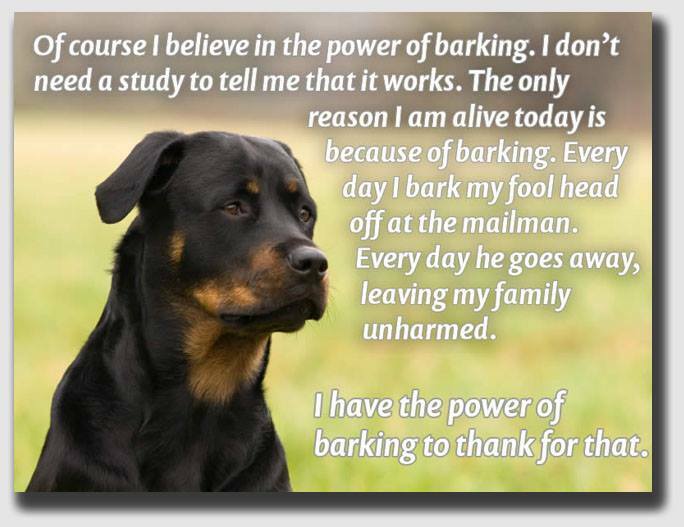 That’s what evidence-based medicine is all about, and you don’t have to be a vet or an academic to utilize it. There probably is no value to challenging specific beliefs held by people you work with until you have an established relationship and they know you and the consistency of your scientific approach, not just to new or “alternative” therapies but to everything. I think I have changed minds about some things, but I have been in the same practice for almost 15 years, and I have aged into a position where people respect my knowledge and experience even when they disagree with me, so it’s an easier place to raise controversial issues from than where you are. Take this experience as an opportunity to learn what you can, without giving up your own ability to think critically about what other folks claim, and also a chance to see how such dubious therapies take hold, and in the future this knowledge will help you to influence others as you progress in your career.